Professor of Political Theory, with a special interest in environmental political theory and the status of animals. Head of the Department of Public Administration and Political Science since 2011. Member of the Board of Trustees of the Telders Foundation, the Netherlands' foremost liberal think tank. 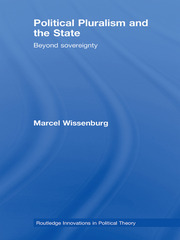 Marcel Wissenburg (1962) was Professor of Humanist Philosophy at Wageningen University (the Netherlands) from 2004 to 2009. In 2006, he became Professor of Political Theory at the Radboud University in Nijmegen (the oldest city in the Netherlands). He is Head of the Department of Public Administration and Political Science (2011-). Next to his day job, he is treasurer of the Socrates Foundation (endowing chairs in humanist philosophy all over the country), member of the board of the Telders Foundation (the country's foremost liberal think tank), and a passionate genealogist. Liberalism, justice, environmental political thought, animal rights.